Winner of the 2011 Anthony Award for Best First Novel, and the Crimespree Award for Best First Mystery! Finalist for the Arthur Ellis Award from the Crime Writers of Canada, and the Macavity Award. 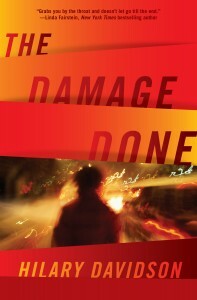 THE DAMAGE DONE was published by Forge on September 28, 2010 (ISBN 0765326973). Buy the book.